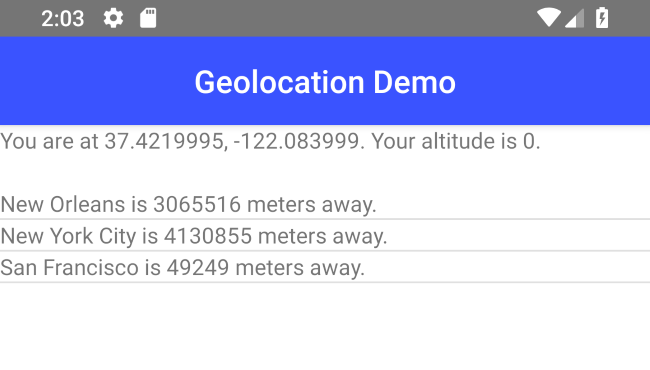 While I mentioned that the Geolocation plugin worked very similarly to the web standards API, it did have one super useful addition that I wanted to highlight - the ability to return the distance between two points. Sure this is just math you can Google and copy and paste, but having it baked into the plugin is really darn useful. 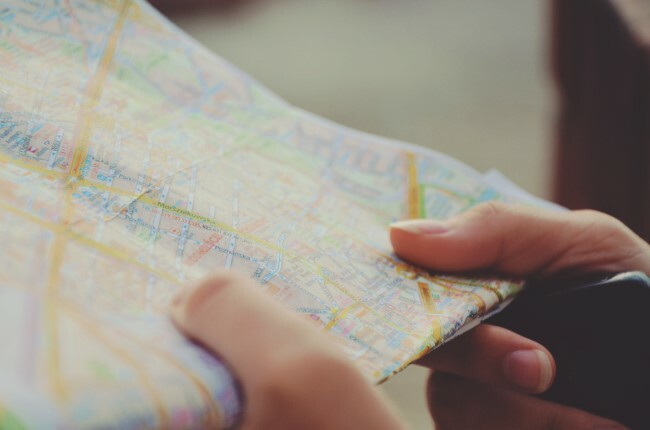 To demonstrate this, I modified my previous application to use a service that returns a list of locations, each with a longitude and latitude. It’s static now but set up to be used asynchronously. Here’s a few things I want to call out. First, inside my ListView, I’m outputting the label value of my location. That doesn’t actually exist, but is instead added to the result in my Vue code. There’s multiple other ways of doing this, but this seemed simple enough for now. Next, notice that my created method now has the async keyword. This lets me do things like the await call inside. I could probably refactor the code that gets your location as well, and I thought about it, but decided to keep my changes more simpler for now. Also, I’ve been busy the last few days. And that’s pretty much it. Here’s how it renders in the Android simulator. Not terribly exciting, but you get the idea. Note that the plugin also supports a watchLocation method that will continuously check your device location. You could use that to keep the list updated as the user moved. That’s it! I plan on doing more posts on simple NativeScript examples, so as always, if you have questions, or feedback, just leave me a comment below!